(Newser) – Mexico's prisons are in "critical condition," says an official, and a new report seems to confirm it: Sixty-five of Mexico's 101 most populous prisons were controlled by the inmates themselves last year, according to the National Human Rights Commission; that's up 4.3% from 2011. What's more, 52 of those institutions are overcrowded. Violence—including fights, riots, and murders—has also increased. 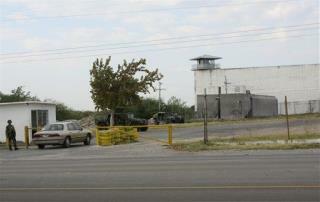 "Inmates Control 65% of Mexico's Prisons". Damn, they really are giving up a great deal of rights...say 20%, because in Mexico, about 85% of the entire country is controlled by cartels.